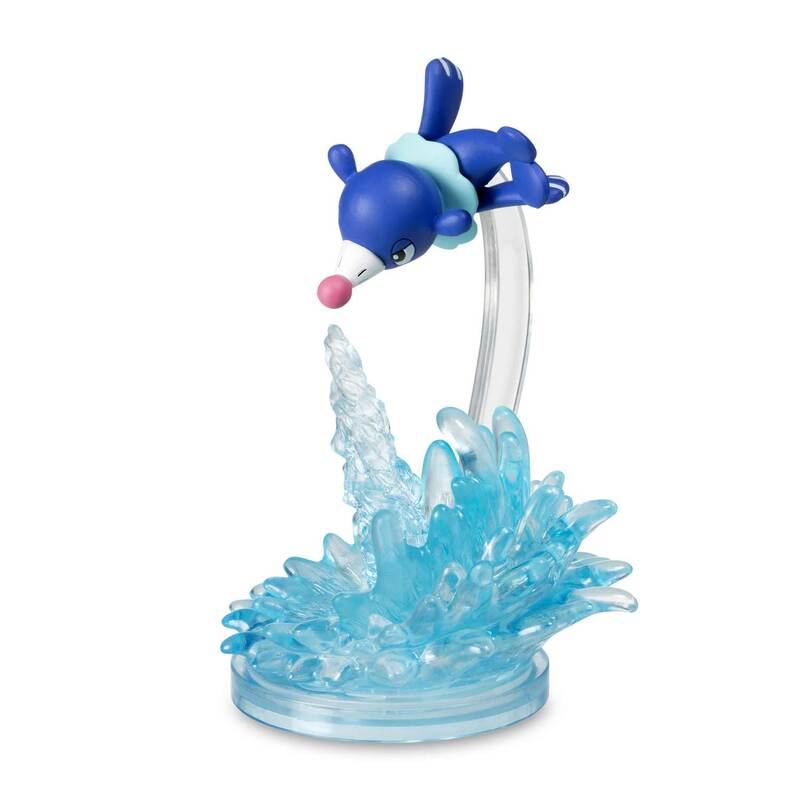 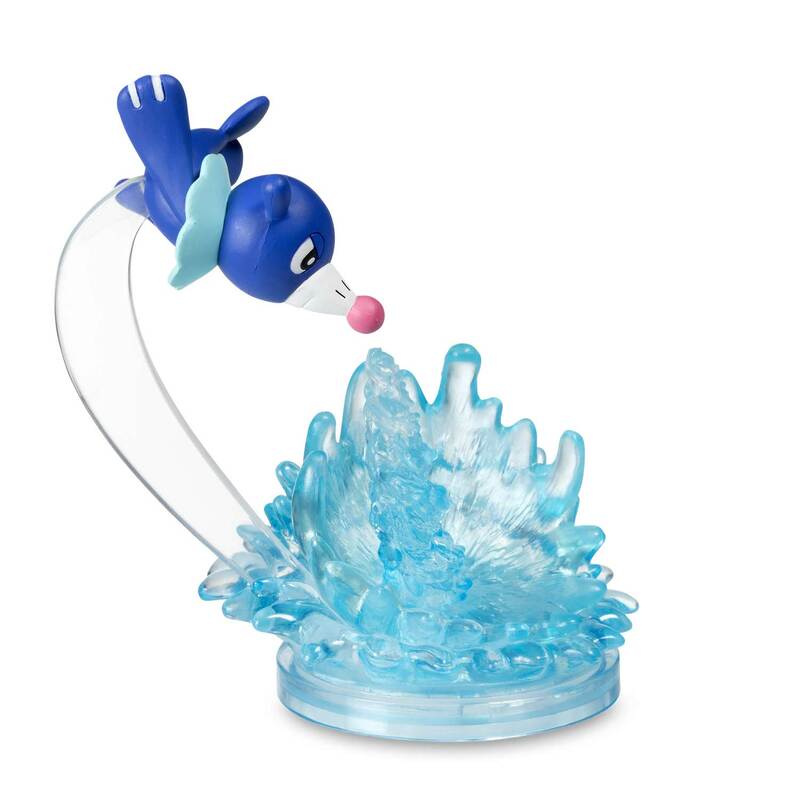 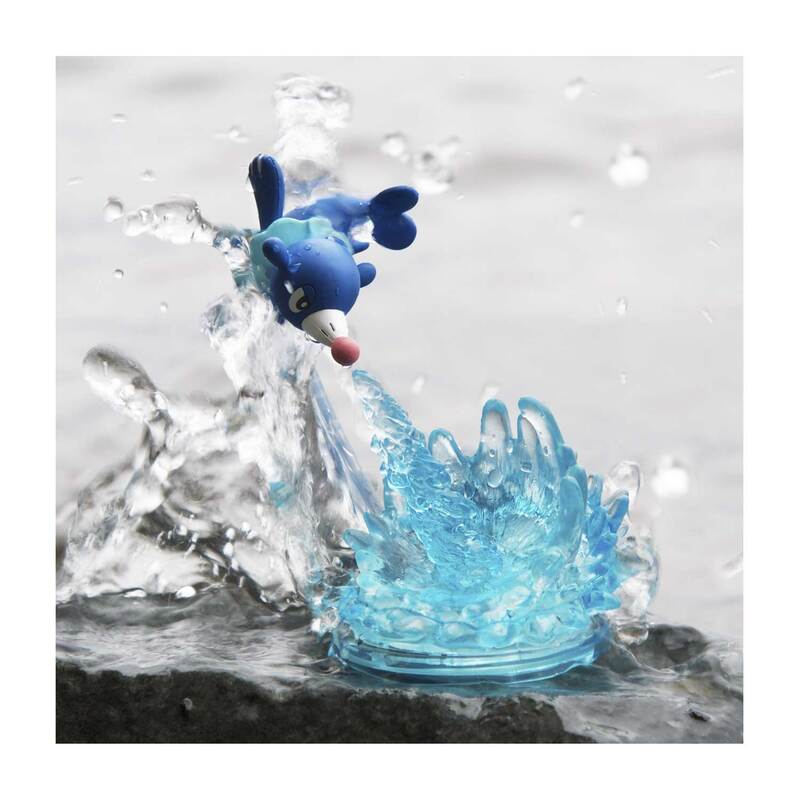 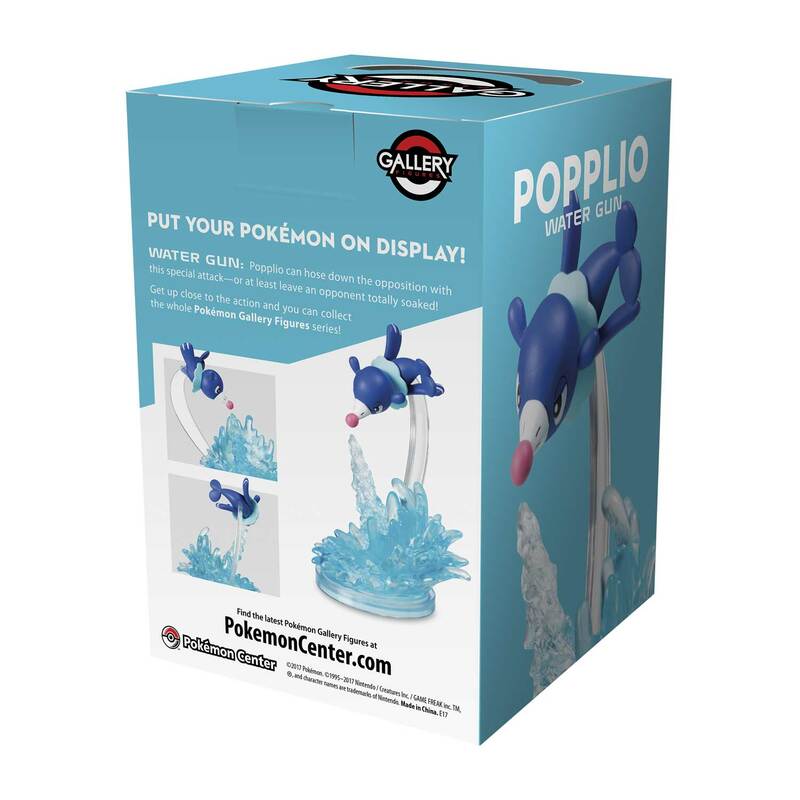 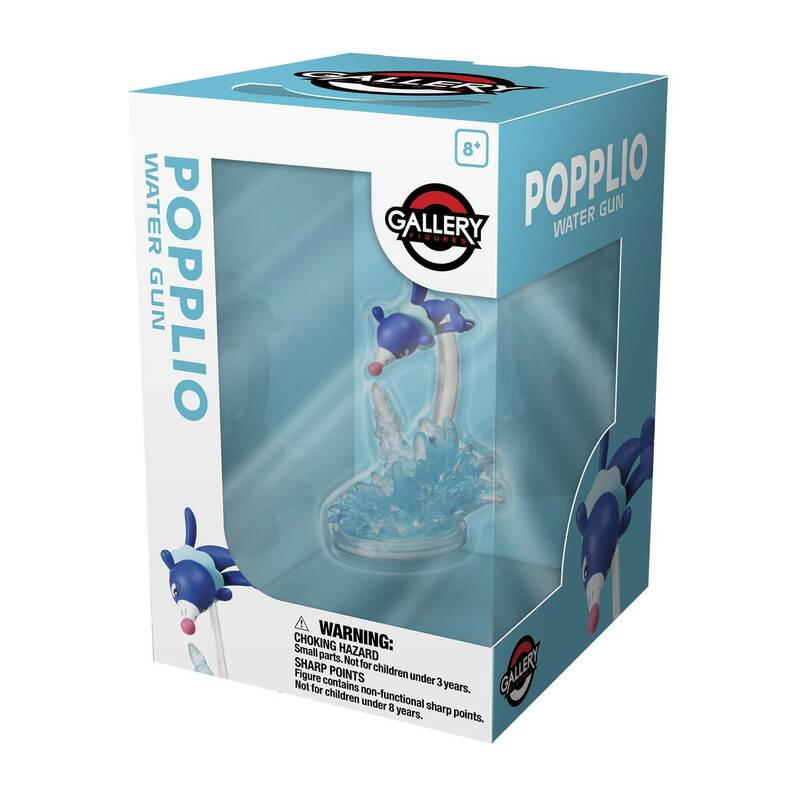 This Gallery Figure shows Popplio in total concentration as it uses its Water Gun move, aiming and cutting loose with a stream of powerful blue water! 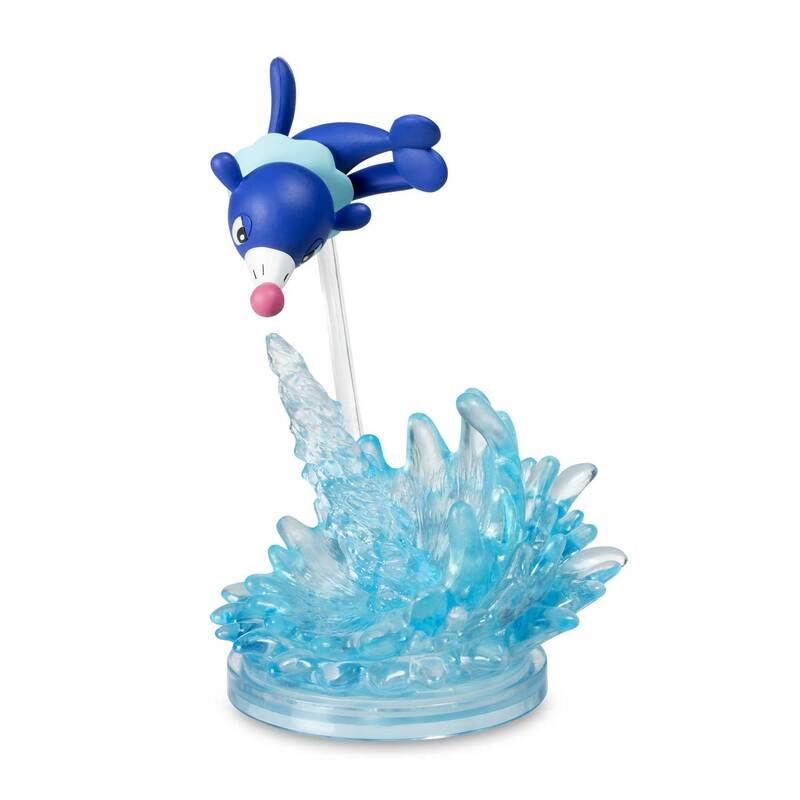 Popplio's pose is smooth, almost balletic, as it gets the drop on an opponent! 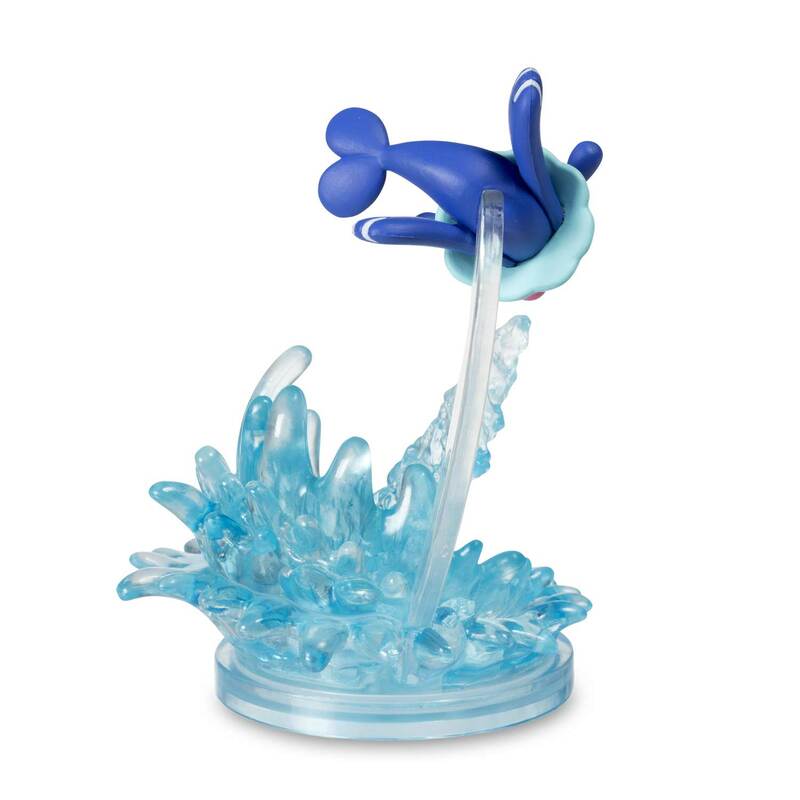 Wonderfully sculpted, this figure displays translucent blue at both its water spout and base.